Tim is played by Peter Jensen. In his audition, Peter pulled out an actual printed photo of a donkey when the script called for his character to do so. That's not the reason we cast him, of course, but it definitely made him stand out more than he already had. There's a certain whimsical sadness to Tim. Peter is a much more outgoing and assertive person, but he transforms on screen. We're excited to work with him and fully bring Tim to life. Watch what Peter has to say about his character and the film. Tim’s quiet, thoughtful, and lately has been feeling pretty empty. After spotting a similarly sad looking donkey at a roadside market, he decides to take her home and make her part of the family. Suggested Facebook Post: Meet Tim, one of the characters in About a Donkey, an inclusive comedy film currently raising funds to make their full feature! https://vimeo.com/203501598. If you miss any of our Meet the Cast videos along the way, they'll be in the Media Section of our Campaign page after they go out in updates. So far, you've met Cinnamon, Cecilia, Ann & Tim. We'd just like to send a huge THANK YOU to everyone who has gotten us to 37%! We believe this film matters; we're so grateful that you feel it does too. 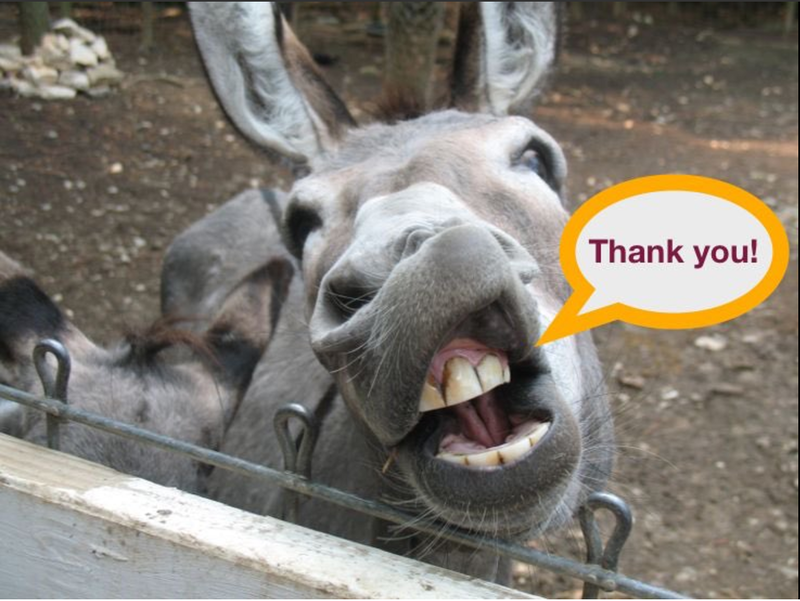 As of yesterday's contributions, we're up to date in all our donkey thank you photos. Check out our Facebook page if you missed yours. More soon! Now let's hit 40% by this weekend!